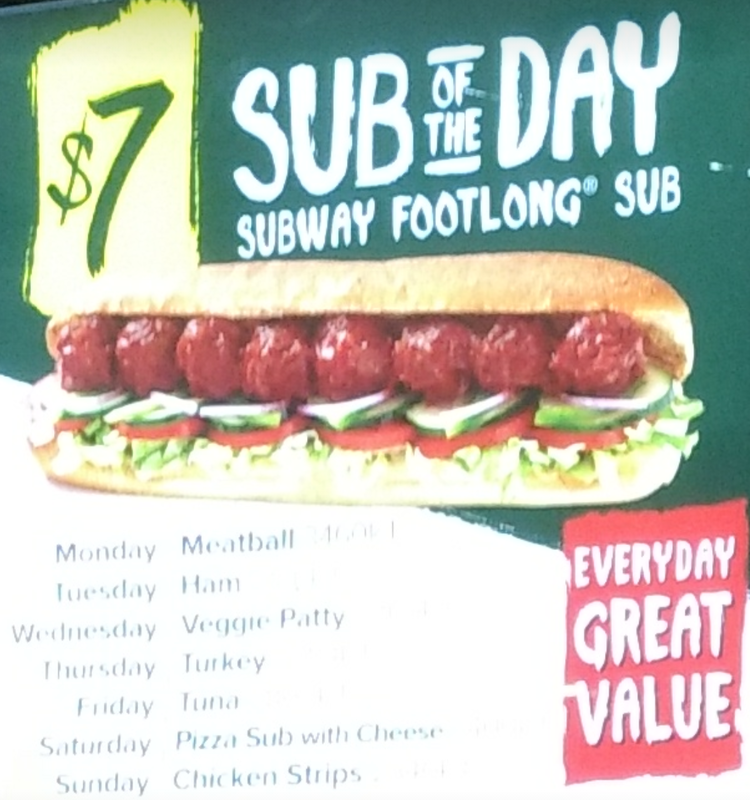 I n some locations, Subway have introduced the $7 Footlong Sub of the Day! Apologies for the bad photo that we took – but this deal has replaced the $4.50 Six-Inch Sub of the Day in some locations, and features the same set of subs. At some locations, the price is not $7 but $8. The best value ones are the Chicken Strips, Tuna and Veggie Patty subs, which are on the higher priced menus. It’s available for a limited time at participating restaurants – to try this deal out and to locate your nearest Subway store, click here.